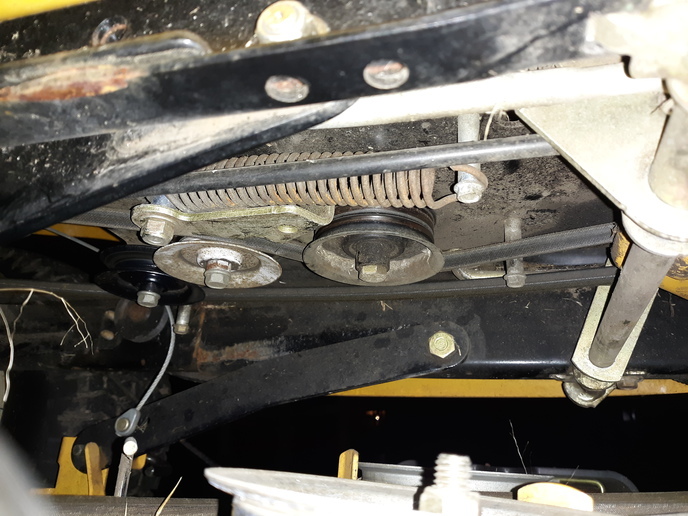 I've worked on that style Cub Cadet made by MTD for years, and I don't think you can change the flat pulley even if you did have a 'long handled tappit wrench', without taking a bunch of stuff apart. I always had to take the seat and fender off. And the pedals too. 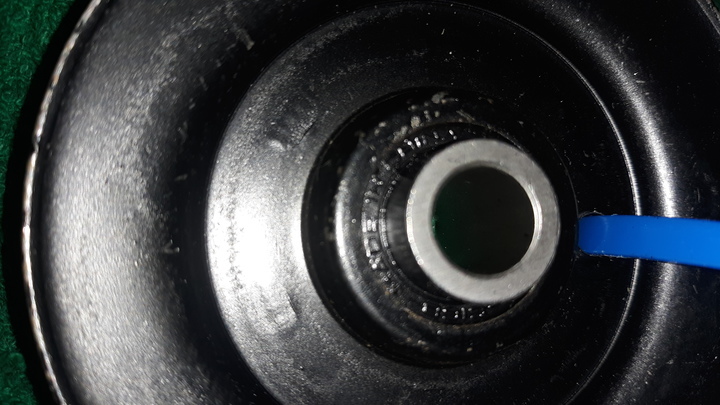 Only a few MTD models had an access hole for the nut on the bolt that goes through the flat idler pulley. The nut is actually in a pocket in the frame on most of those models so the foot plate part of the fender lays flat on the frame. When you do this, to remove the fender there are usually two 3/8 head bolts hidden under the decal in the center of the foot pan, under the decal. Two other bolts on the bottom near the pedals, the head usually hidden by the foot pads. And of course, the bolts that hold the seat on. The wrench he had was I think a proto wrench about 14 inches long. Had 1/2 on one end and 9/16 at the other. They ground the two ends a little thinner so you could slide it in from the front. Told me you want to put something really gooey on the claw so when you get it on that nut as you loosen the bolt don't let ANYTHING move. Carefully thread the new one in and tighten. I looked it over tonight and just let out a great big syyyyy. As stated, nice spring project. P.S. he said you might want to drop the deck too. This is going to be fun???? My father had some long handled tappet wrenches, I suppose I still have them, but don't recall using them! I have worked on a variety of mowers over the years. On our Husqvarna it's very easy to drop the whole deck off to change a belt or whatever it needs, I think I have done it 3 times in the 20 years we have used it, it's a very good mower. I have two Husqvarna machines and loveum. Big baby 2254 with 5he six speed manual and a bit smaller 46 inch hydro. Both have the Briggs twin V engines. Just know this pulley change is going to be so much fun.!!!!! If you get to the point its no longer 'fun' then you can still take the fender off. I'd be inclined to slip my grease gun needle under the bearing seal and give it a pump. I've quieted many an idler that way. As long as it isn't so dry it's self destructing, a little grease will let it run a long time. How many hours on the machine? Lifetime lubricated bearings are generally misunderstood. People hear that used in the product advertising and they think "I will never have to lubricate those pulleys". Correct in one sense but it really means that once these start to fail for whatever reason their lifetime is over. MTD has a lightweight/low cost approach to certain things which varies depending on what model series you have. 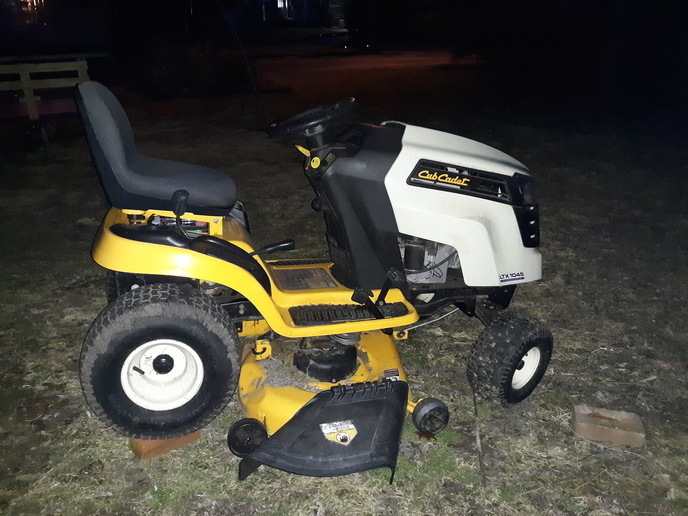 I have a Cub 2518 that I have had for approx. 10 years now and I am now pushing 500 hours. Biggest repair frequency I have faced has been the rotating stuff on the snow blower attachment (Michigan with a 1/4 mile long driveway). 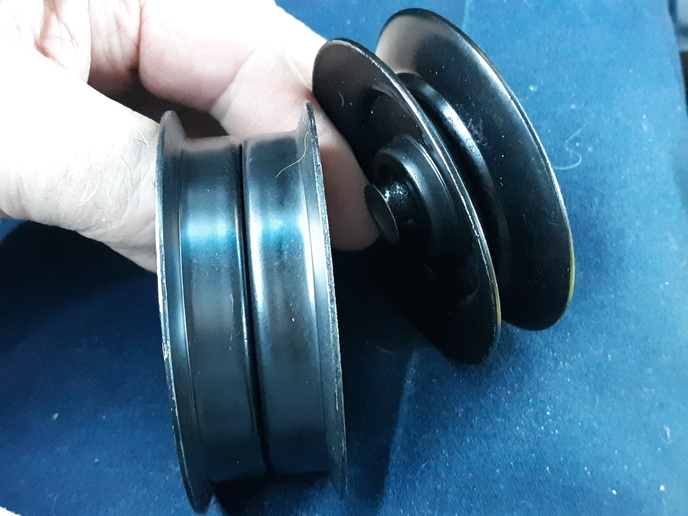 Have you replaced the mower deck spindle and idler bearings yet?